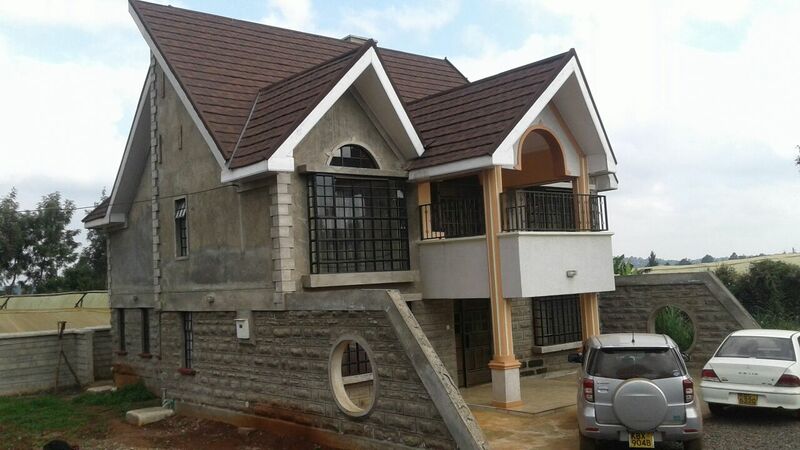 Modern houses for sale in Kenya are available if you are interested in the purchase of great housing options with a modern taste. But you may ask, what is modern housing? Probably the concept itself sounds quite grey, and does not make as much sense to an ordinary individual looking for decent shelter and accommodation. however to the individual interested in a good house that goes beyond their wildest dreams, this is a good place to begin. 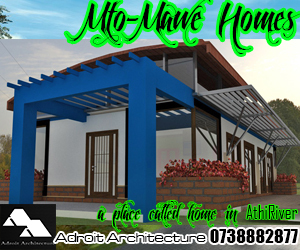 Tips for creating modern houses for sale in Kenya. It makes a big difference for someone making housing proposals that are targeted to the high end sector must demonstrate a keen understanding of what goes into the creation of modern housing schemes. One of the most prevalent features of modern housing is their clean strong geometries, characterised by simple pure forms. This may be because the buildings created in this manner have been created from modern industrial materials which often come in modular panels. Most of these panels are manufactured in industries and come as prefabricated elements. As a result one would find that modern houses for sale in Kenya would tend to have the kind of look that is characterized by large modular panels with clean geometries. in particular the use of glass and steel allow for larger spans to be achievable, and as a result the spaces within the unit will tend to be larger. Of course this must be balanced with higher costs of prefabricated elements, although should the development have a large scale, good economies of scale can be achieved. 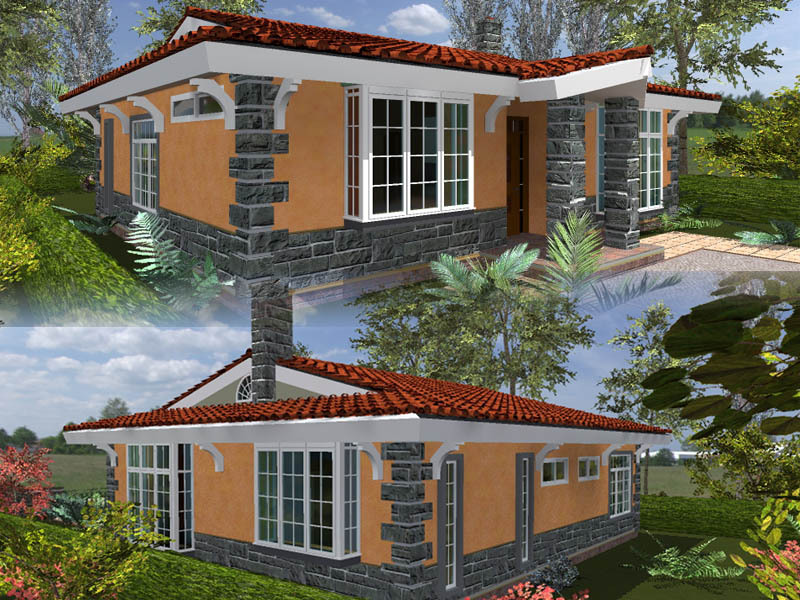 Construction Technology of modern houses for sale in Kenya? As a matter of fact, it is very possible that a good project can be realized in a relatively cost effective manner through the use of prefabrication at large scale. The creation of housing projects that have plenty of prefabricated elements can lead to great cits in the cost of projects. Thus savings like this in development costs will result in smaller development costs which will reflect in greater profits to the developer, or can mean that the modern houses for sale in Kenya can be offered for sale at more competitive rates. 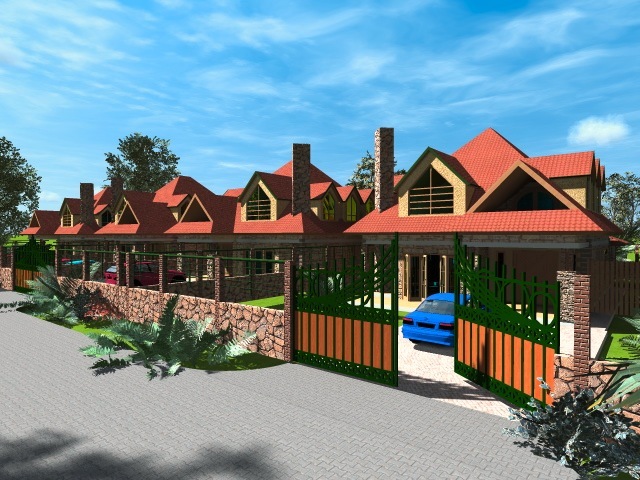 One of the more difficult issues of dealing with the modern houses for sale in Kenya is the whole element of ensuring that security is enhanced within the homes being built. These homes are characterized by having large openings that are ordinarily not secured by any other than having large glazed surfaces that will have the primary responsibility of keeping the weather out. The creation of a weather proof barrier that has a good level of anti burglar protection is one of those quandaries that the designer will have to worry about. With the nature of security in the country, their is need to have a great sense of security built into the modern houses for sale in Kenya through other means than the conventional. The best way to do this is through the use of access control devices at the perimeter of the property. In addition to this, you could have a strong means of access control built into the design of the property. for example, the design of the large windows can be done in such a manner as to have a decorative window grille that is designed within a nice pattern that merges with the overall design of the house. As such, the design of the units can still be pronounced with their large windows and great design language, with protective features discreetly built into the home. Probably one of the most powerful elements that can be considered on the design of each unit is the inclusion of good circulation flows and maximum ventilation around the entire development. 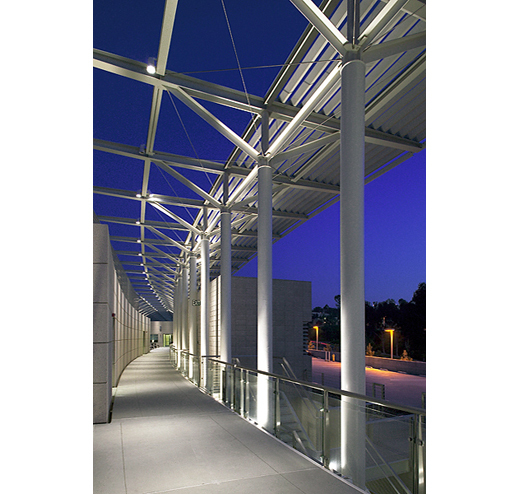 By so doing, it is a great means of ensuring sustainable design is built into the development. 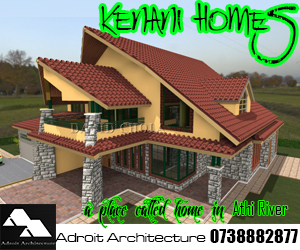 Open planning within modern houses for sale in Kenya is something that many individuals are yet to fully embrace. Traditional stereotypes and relationships within the home make it hard for the conservative family to accept that the kitchen space can flow into the dining area of a home, allowing people to enjoy cooking and living within generally the same space, only demarcated through appropriate counters, storage and floor finishes. Some individuals find it difficult to accept the relationship between the kitchen and the living room as being a natural one. However in self catering houses one may find in the West, this may very well be a common occurrence as individuals treat their cook space as a part of the living area as a whole. Thus the open plan kitchen or kitchenette. In some modern houses or accommodation space, this concept has even been taken to the more private bedroom area. One may find that a bedroom may be created with an adjacent ensuite bathroom and toilet. The interesting thing is that you may find that these are only separated by a simple partition, without doors at times. This may be offensive in some cases with regard to smell, but the idea is to ensure that an individual experiences wet and dry spaces as part of the whole room. Putting this concept within a modern house for sale in Kenya is something that some may find weird, but depending on the finishes employed, the configuration of the bathroom and ability to have good cross ventilation, an interesting effect can be achieved. 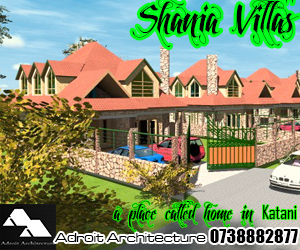 One definining element of modern houses for sale in Kenya is the need for them to be unique. As a result, they have a good element of customized design in some areas, while having large amounts of prefabrication built in. As a result, the end product may end up with its own distinctive style that is very different from other units. The creative designer will create design compositions using the same modular elements that go into the building. 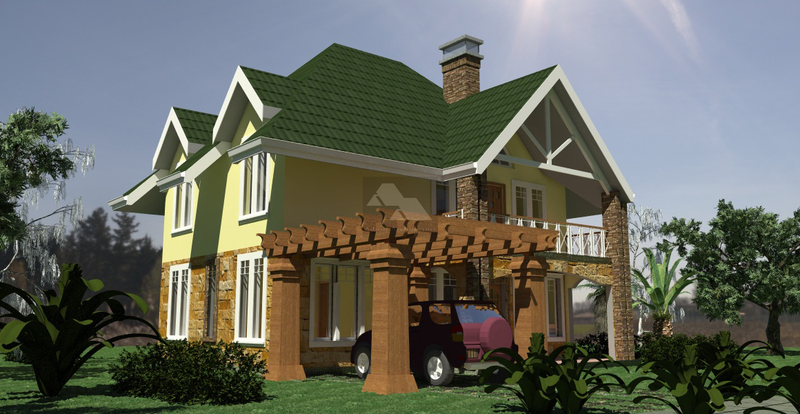 If you want to make business out of interesting residential developments, incorporate these thoughts as you construct your modern house plans for sale in Kenya.